HOUSTON, TX – The Houston chapter of the Democratic Socialists of America (Houston DSA) is allying with local groups, such as Indivisible Houston, to organize a protest against Representative John Culberson’s vote in favor of the American Health Care Act (HR 1628; aka, AHCA). The protest will take place on Sunday, May 7, 2017 from 2:00 – 5:00pm in front of the office of Rep. Culberson (R) at 10000 Memorial Drive, Houston, TX 77024. Houston DSA and Indivisible Houston aim to bring attention to the millions of Americans that will lose health insurance coverage under this act and to denounce the elimination of rules prohibiting insurance companies discriminating against people with pre-existing conditions such as, asthma, cancer, pregnancy and even sexual assault. While communities in Houston will suffer under this new law, it cuts $350 billion in taxes for the wealthiest 1%. Furthermore, Houston DSA and allied groups firmly call for both parties to take up HR 676, which would enact Medicare for All. Medicare for all (or single payer) is broadly popular with a 58% approval rating according to Gallup polling. Just as Obamacare will reduce the rolls of the uninsured by 24 million at the last estimate compared to the AHCA, Single Payer will reduce that number by a further 28 million people. So, the moral imperative for single payer is clear. Now more than ever, we need a health care system that leaves no one behind and doesn’t bankrupt our families. 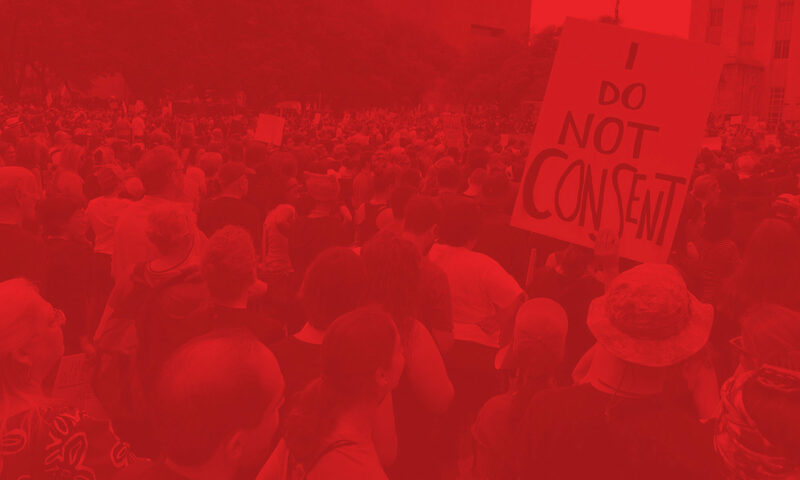 ABOUT HOUSTON DSA – Houston DSA is the Houston local of the Democratic Socialists of America, the largest socialist organization in the country. We fight for more democracy — in our politics, workplaces, and communities. Our members are building and supporting progressive movements for social change while establishing an openly democratic socialist presence in U.S. communities and politics through activism, political education, and community organization. ABOUT INDIVISIBLE HOUSTON – Indivisible Houston is a chapter of the grassroots movement based on the principles outlined in the Indivisible Guide. We are dedicated to uniting Houston’s eight congressional districts to oppose the agenda of the Trump White House. We do this by pressuring members of Congress to represent their constituents and obstruct authoritarianism. On Thursday, Rep. Culberson voted to enact one of the most destructive and vile bills to ever pass through Congress, the AHCA. Not only does this bill strip 24 million Americans of their health insurance, but it makes things like pregnancy and sexual assault “pre-existing conditions”, and defunds Planned Parenthood so the most vulnerable can’t even have access to lower-cost treatment. And this is all in the name of giving the wealthiest 1% a $350 billion tax cut. Our communities need affordable health care now and that can only be achieved by Medicare for All. Affordable health care is a human right that should not be denied to anyone. But Culberson will not listen unless we show up at his doorstep to demand it. Join us at Culberson’s office to tell him that we, the People, say NO to repealing Obamacare, and to tell him that we DEMAND Medicare for All. See our calendar or Facebook for more details.